We are back with some news (rumours actually) related to the long rumoured Samsung Galaxy Note 2 which we hear is coming very soon. 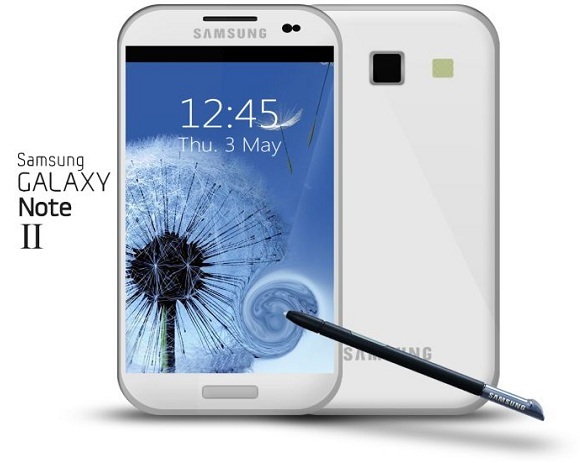 The 5.3 inch original Galaxy Note could get its successor, the Note 2 as early as in August. This news is coming in from MK Business which is quoting sources familiar with the matter that Samsung is planning to launch the Galaxy Note 2 for a late-August unveiling at the upcoming IFA 2012 in Berlin. It is also being rumoured that the Note 2 would arrive with a slightly larger display with a 5.5 inch screen and would run on the latest iteration of the Android OS, 4.1 Jelly Bean. Also according to the reports, the Galaxy Note 2 would carry an upgraded camera on the back of the phablet which could be either of 12 MP or even a 13 MP sensor. Currently the Galaxy Note has an 8 MP camera at its rear. And we are also expecting Sammy to upgrade the processor of the Note 2 with a quad-core processor and also upgrade the internal storage of the phablet to about 64 GB. If the release of the Galaxy Note 2 has indeed been planned for the IFA 2012, then we might soon see some more rumours and leaks to pop up soon.